So before I set my mouth on fire from my “lite jalapenos” on my sub from subway I dived into this treat. 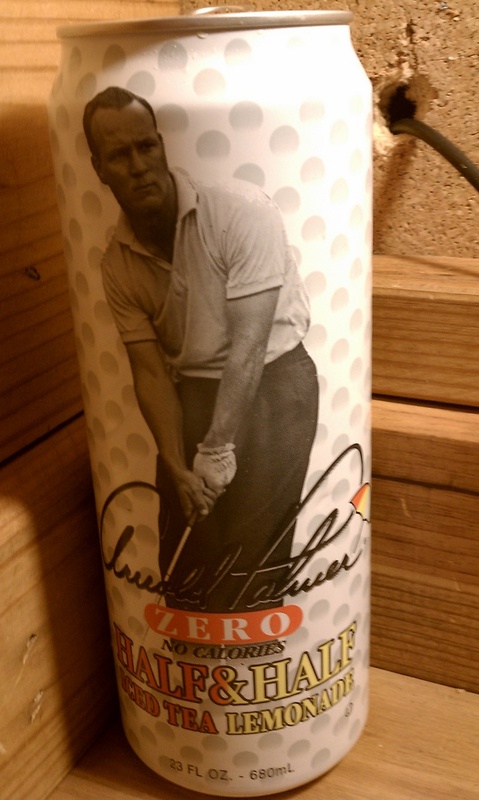 Arnold Palmers are one of my favorite drinks that AriZona Beverage Company produces. This version had zero calories and is a nice fit on my diet. Compared to the lite version I actually enjoy this one better. Why you ask? By removing the small amount of HFCS or high fructose corn syrup that they were using, they increase that drying effect a good tea gives and with the light lemon overlay it sure is a refreshing drink. Question of the Post – Whats your drink of choose to cool down with? I am more interested in the tea than the design of the can! I looked for my Brisk Sweet tea in 2 major supermarkets this week, only to find NONE! what’s up with that? Not producing it for the winter, come on, that’s finally one I like!